The Child Education and Care Ministry assists parents with a registered Christ oriented child care and learning experience for infants through four-year old preschool. Lethia grew up in a Christian home and has been in church all her life. At the age of 17, she accepted Christ. The Holy Spirit convicted her on Sunday morning and she went to talk to Pastor Mitch at Big Creek. She ask Jesus to come in her heart, February 11, 2001. 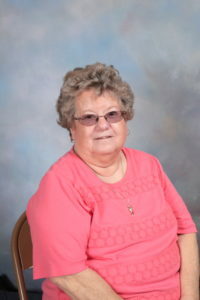 She was very active in GA’s, Acteens, and taught 4 & 5 Year olds in Sunday School. 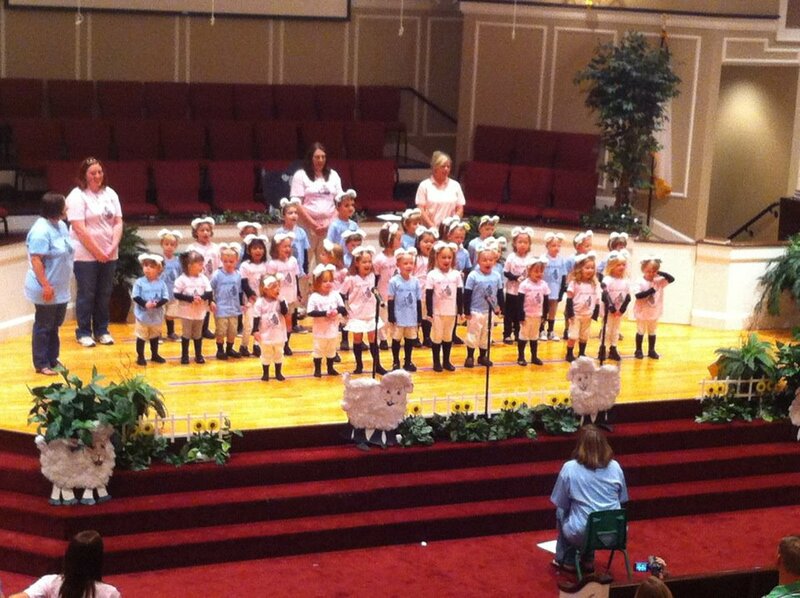 She attended VBS at Cedar Grove. She attended daycare at Cedar Grove from the ages of 5 until 11. She loved attending the daycare and learning about the love of Jesus. When she was 18, she started working at the daycare; she taught 4 year olds. She graduated from Palmetto High School in 2002. 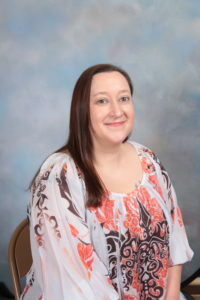 In the fall of 2002, she attended Tri-County Technical College studying Radio and Television Broadcasting; however, she sensed God was calling her to continue to work at the daycare while in college. She graduated from Tri-County in 2005. She graduated from Tri-County again in 2008, with a degree in Arts along with a certificate in Digital Productions. In the summer of 2008, she sensed God calling her to teach two year olds at Cedar Grove Child Education and Care. In 2010, she became the Assistant to the Directors. In 2013, she became the Co-Director. She became the Director in September 2014. She also teaches 4k and loves to tell children about how much Jesus loves them. In her spare time, Lethia enjoys reading and spending time with her friends. 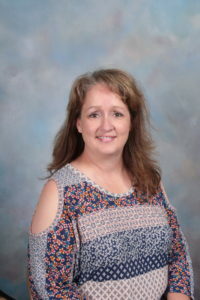 Beth Anne lived in Williamston, SC for the first 14 years of her life and spent the next 32 years living in Anderson before moving back to Williamston in 2013. 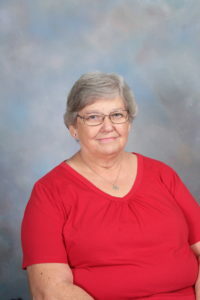 She was raised in a Christian home and accepted Christ as her Savior at age 11 in April, 1978, on Easter Sunday night at Tabernacle Baptist Church in Pelzer. She spent over 25 years teaching in the Preschool Dept. in Sunday School, Discipleship Training, Mission Friends, Cubbies, Children’s Church, and VBS. She has also participated on several Mission Teams and sung in the Adult Choir, as well as being active in the WMU as a G.A. and Acteens Leader. Beth Anne and her daughters joined Cedar Grove Baptist Church in April 2014, after much prayer and guidance from the Lord. She is active in the Adult Choir, Sunday School, AWANA (T&T 5th & 6th grade girls), and the Mission B.E.E.S. 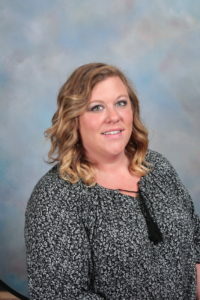 Beth Anne is a graduate of BHP High School and Clemson University. She is the mother of two daughters, Jenna and Ashlyn. Beth Anne enjoys watching football, reading, working puzzles, cooking, and spending time with family and friends. Katelyn lives in Belton, SC. She was raised in a loving Christian home and has attended Belton First Baptist Church her entire life. At age 10, during Vacation Bible School, she asked Jesus to come into her heart and was saved. Katelyn has worked with the children at her church for many years and volunteers in the nursery. Katelyn married her high school sweetheart, Chris on October 14, 2017. She graduated from Belton Honea Path High School in 2013. In her spare time Katelyn enjoys reading and spending time with her family and friends. She loves to travel to Charleston to visit her sister, Kayla and precious nephews Tripp and Jake 5. Katelyn joined the Cedar Grove staff in March 2016. Felicia grew up in the small town of Williamston, SC and then moved to Anderson in 2016. She married her husband, Jonathan, in June 2013, they had a daughter, Mary-Ellen, in December 2013. On October 2014, at the age of 22 at Reallife Church Felicia accepted Jesus in to her heart. 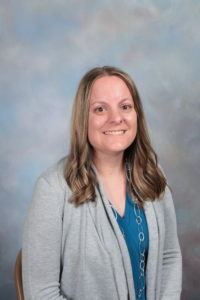 She was the children’s director at Reallife Church for a year and before that she was the assistant director for children’s church. Felicia has a two year degree in Early Childhood Development and Education from Tri County Technical College. 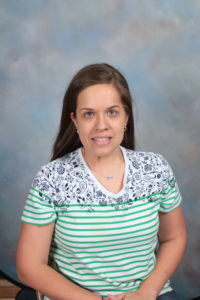 Felicia joined the staff at Cedar Grove Education and Care in Oct. 2017 as the One’s teacher. In her spare time Felicia enjoys doing crafts with her daughter and read. Mary Greer grew up in the small town of Ringgold, GA, and moved to Anderson, SC, at the age of 13. As a child she attended church occasionally with her family. At the age of 12, she accepted Christ as her savior after watching the 700 Club on television. She followed in believer’s baptism at the age of 18. Mary Graduated from TL Hanna High School in 1994. Mary is a mother of two boys, JD and Logan, and one daughter, Megan. Mary’s nephew, Patrick, and niece, Gracey, also live with her. Mary has worked at Cedar Grove Child Education and Care since November of 2008. During her years there she has worked with the babies, toddlers, two and three year olds, and school aged children. Prior to working at Cedar Grove, Mary was a substitute teacher for Anderson School District One. 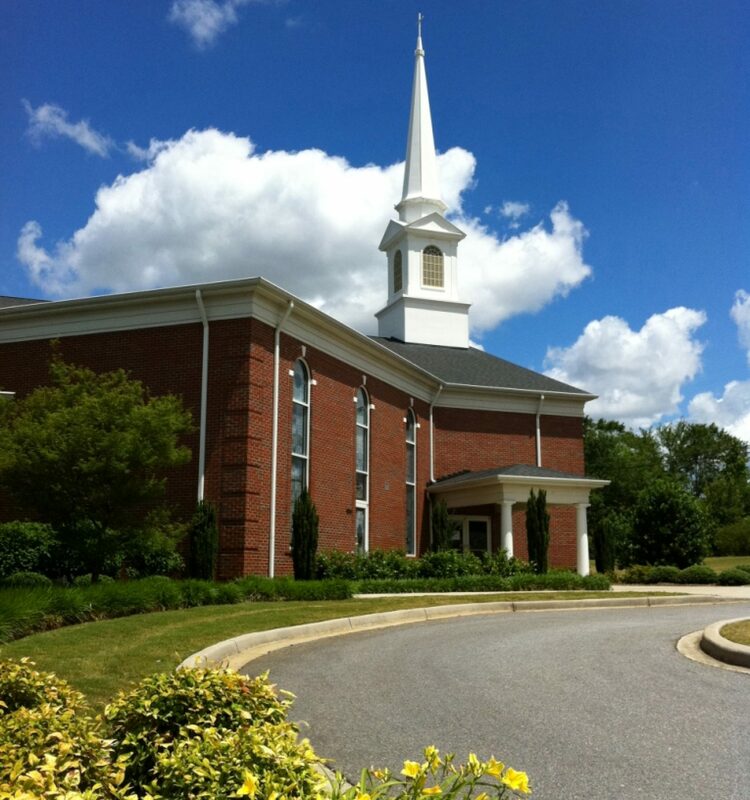 Mary has been a member of Cedar Grove Baptist church since 2008. She is active in children’s church, and is an adult life group leader. Mary is also active in VBS, AWANA, and van ministries. In her spare time Mary likes to spend time with her family and read. Tracy grew up in Cheddar, SC, and was raised in a Christian home. She was saved on May 4, 1999, after being convicted by the Holy Spirit at a revival service. She attends Cedar Grove Baptist Church. Tracy has 3 daughters, Sydney, Cassidy, and Kennedy. Tracy worked at Cedar Grove Child Education and Care from 1987-2002, and then from 2004-2008. She just returned to work with the children again in March 2014. Tracy enjoys fishing and going to the beach. Martha Smith was born and raised in Anderson, SC, by Christian parents. She has been in church her whole life and was active in Sunday School, Sunbeams, GA’s, and BYW. When she was 13 years old she accepted Christ into her heart. She attended Southside Baptist Church in Anderson. Martha met her husband, Richard Smith, on May 2, 1970. They were married on January 7, 1972, at Southside. They have one daughter, Lethia, and a son, Robert. 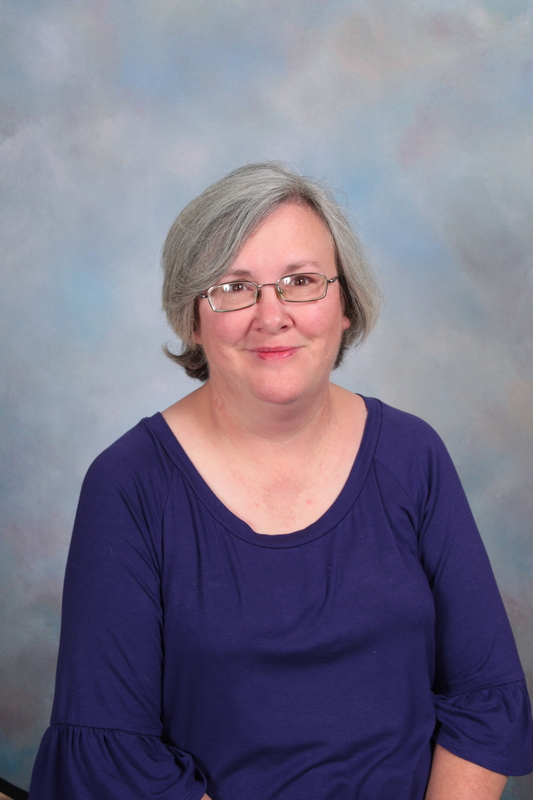 In 1990, Martha started attending Big Creek Baptist Church, where she is active in Sunday School, Choir, and WMU. In her spare time, Martha enjoys sewing, baking, and spending time with her family. Margaret was one of eight children raised on a dairy farm. She went to school in the Starr-Iva area. She accepted Christ at the age of 10, at a revival meeting. She married Don Roberts in 1965 after graduating from Erskine College. They have 4 children; Russell, Tim, Ivan, and Diana. She enjoys spending time with her 8 grandchildren, sewing and reading. She retired from Palmetto High School after 21 years of service.